400 Litres of Beans Req. 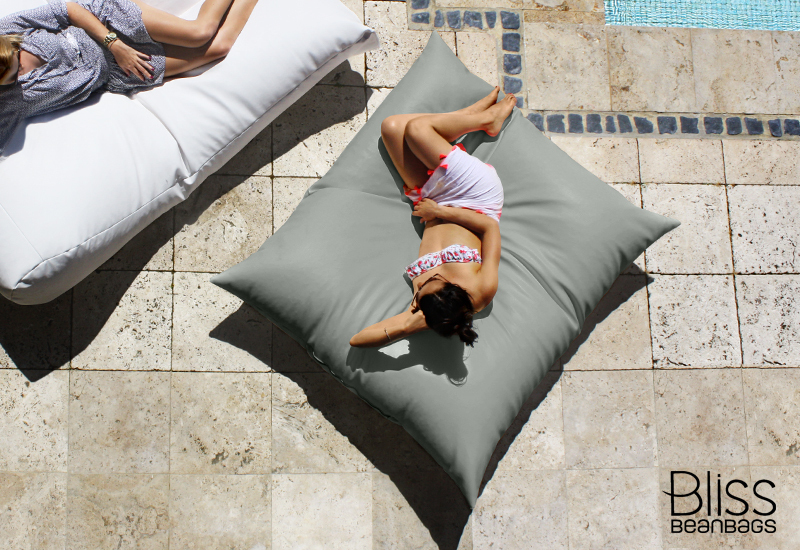 This super-sized cushion of a bean bag is just as fun to use as it is to look at. 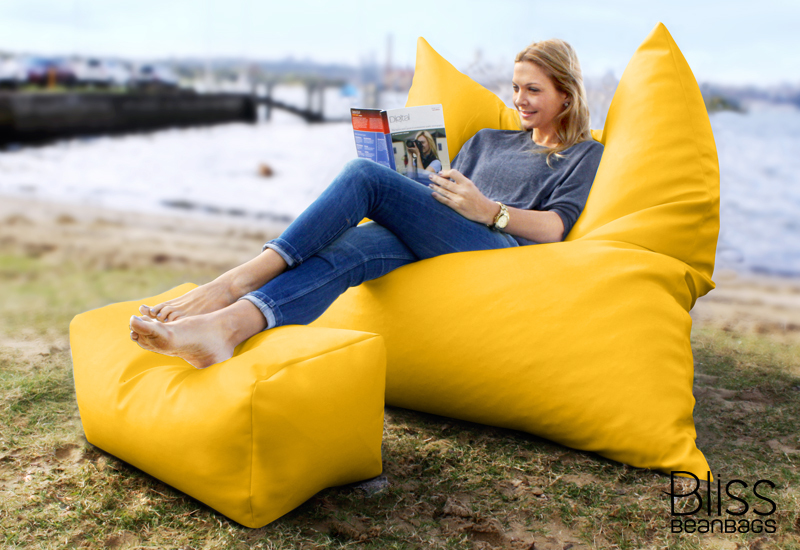 You can bend and shape the King Bean Bag to suit your every whim, and feel comfortable whether you’re laying back daydreaming, reading a book or relaxing to your favourite music. 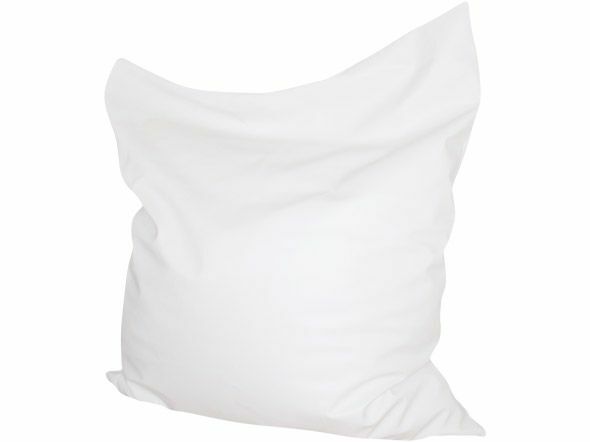 At 135cm x 165cm in size, you can bundle yourself in and cozy up to its yielding shape. What really adds to the fun factor is the big, bright, vibrant colour range to choose from when ordering it. It’s kids’ play for all ages so get into it in a big way. LOVE LOVE LOVE the bean bags but LOVE the professionalism and service eve more. Well done on your promptness and cheery disposition. 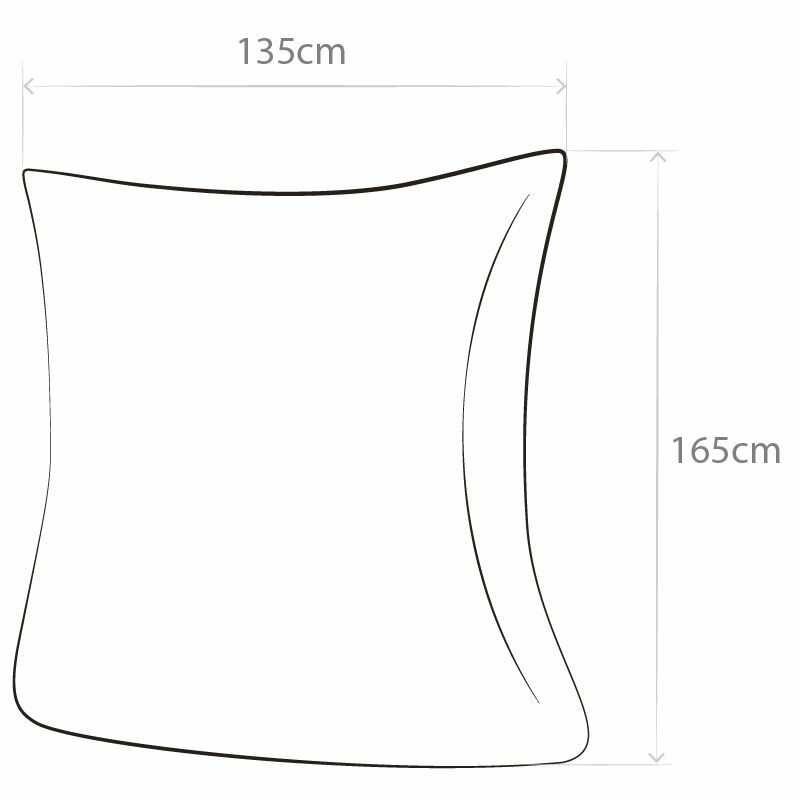 HAD THE TWO BEAN BAG CHAIRS ONLY ONE DAY AND ALREADY ORDERED THE BIG BEAN BAG. SO I GUESS I MUST LIKE THEM A LOT. THEY ARE FOR MY BOAT. PERFECT. Thank you for supplying me with two fantastic bean bags. I am looking forward to using them all year round out on the lawn and relaxing in front of the tv. Great quality and design. Falling asleep on them is easy they are every comfortable. 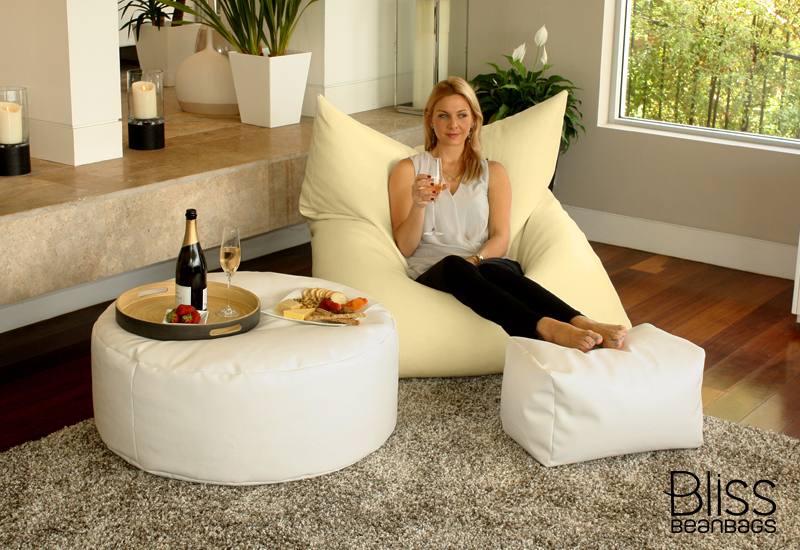 We love our Bliss Bean Bag. 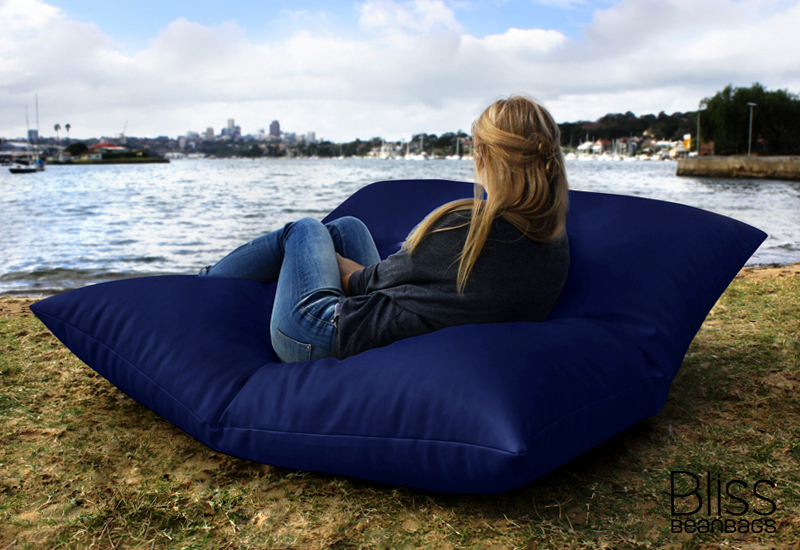 It’s a permanent fixture in the lounge room but gets dragged outside to the deck and even thrown in the car for afternoon picnics in the park or our local beach – very versatile! That’s when we can get our dog off it – he thinks it’s a perfect size for him and my son to snuggle! My wife (Prof. S##### D####) adores her new bean bag. Unfortunately, our cat, Lucy, has discovered the joys of lying on it in the sun. Amazing how 3 kg of fur can colonise a space the size of a small European country. Thanks George. 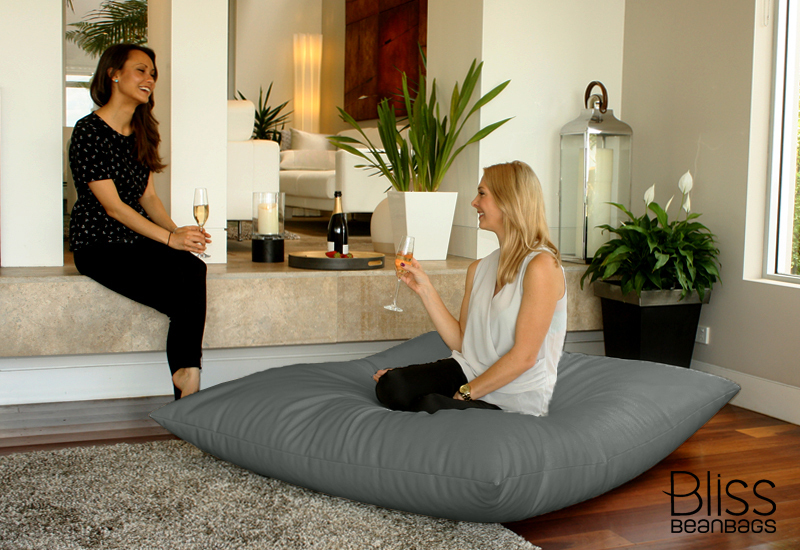 The best thing about my bliss bean bag is the versatility! The bean bag goes everywhere is our house. The fact the it’s so durable and looks great in every room is a bonus as well! Thanks for such a great product. Everybody always comments about it when they see it. We choose to use a sturdy specialty fabric – marine grade vinyl– for its outstanding durability, cleanliness and safety qualities. Enjoy selecting from 16 combinations of vivid, contemporary colours. We're not only fixated with great looks. 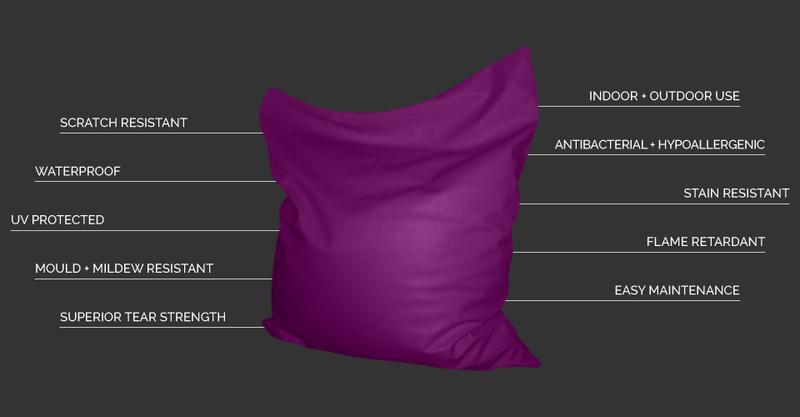 We take the longevity of our bean bags seriously. 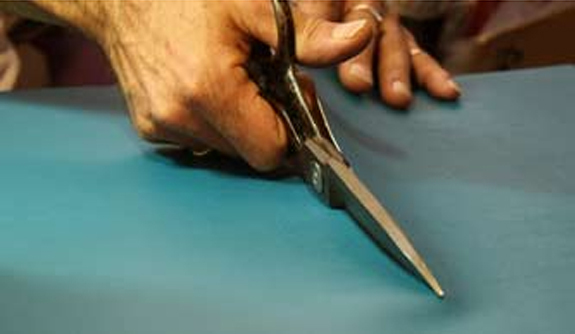 So we ensure they stay intact due in part to the extra strong, 25 Ply high grade thread we use to sew them together. 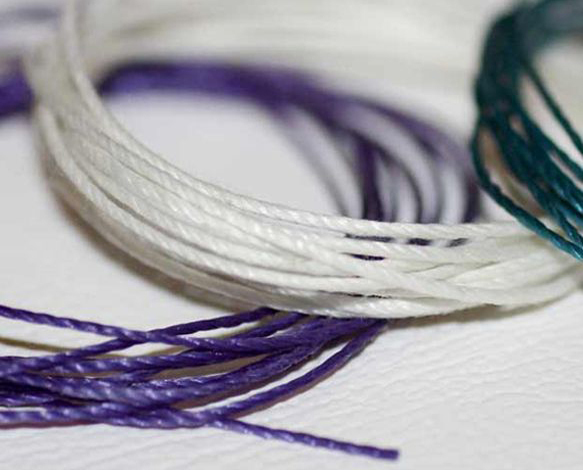 The thread is waterproof and UV resistant, and can even withstand searing temperatures of up to 200ºC! Displaying we really are committed to creating bean bags that last a lifetime. 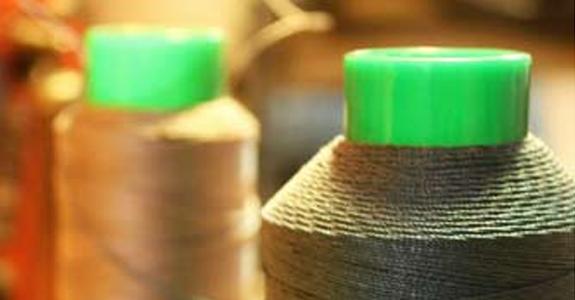 Of course, we do also ensure the thread matches the various fabric colours that you select for your bean bags. We are a little fussy with things like this. We have any doubts you may have about safety well covered. 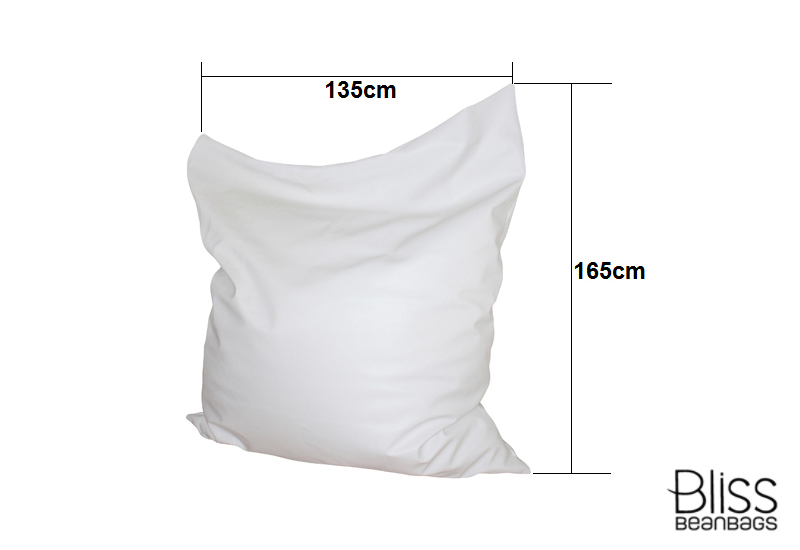 Our bean bags have safety zippers with little safety triggers that need to be lifted to open or close. 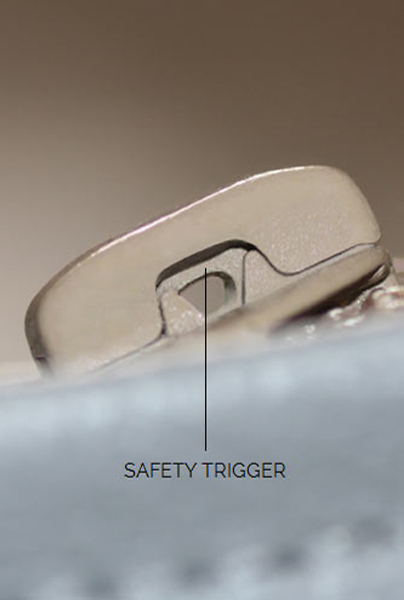 The triggers can be raised with a paper clip. Your kids or you can conjure up all kinds of rough play on them, and you'll never have to worry about beans spilling, skin being scratched or carpet being snagged. So get in on the fun and jump on them! All safety details are important to us. And so we added an additional safeguard level to our safety zippers by including a raised cover of fabric over the zipper after it's closed. These help to hide away any metal edges and prevent accidental openings. 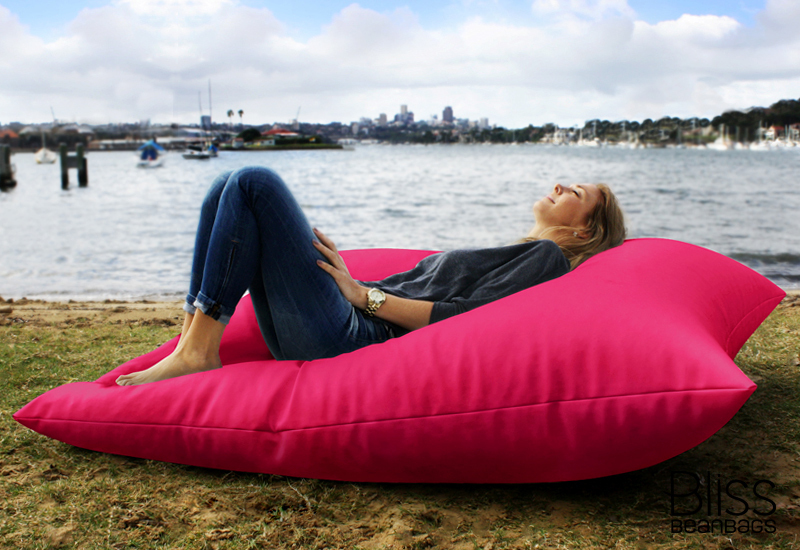 Bliss Bean Bags™ had a particularly lengthy 'gestation period'. 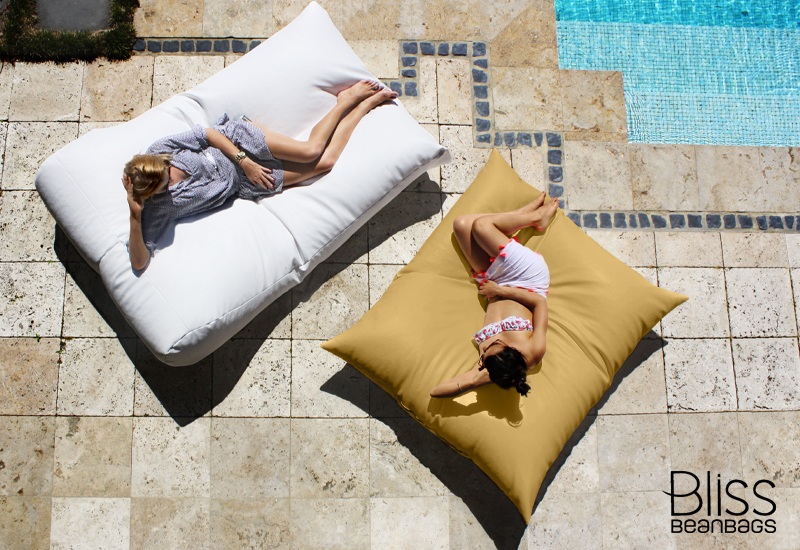 We had undergone all our trials and errors before we ever sold a single bean bag. 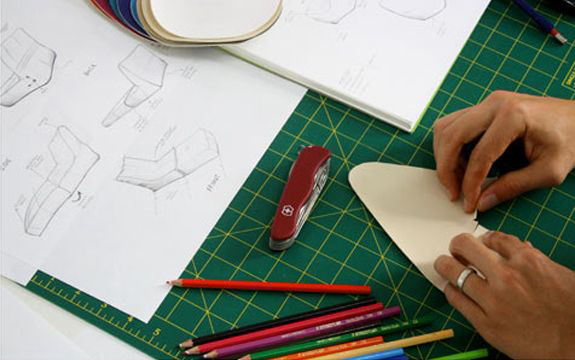 Over a duration of many months, we repeatedly designed, tested, and redesigned our bean bags, not stopping until we perfected their stability, structure and safety. Front of mind was the flexible way in which they would be used by people all across this great country of ours. 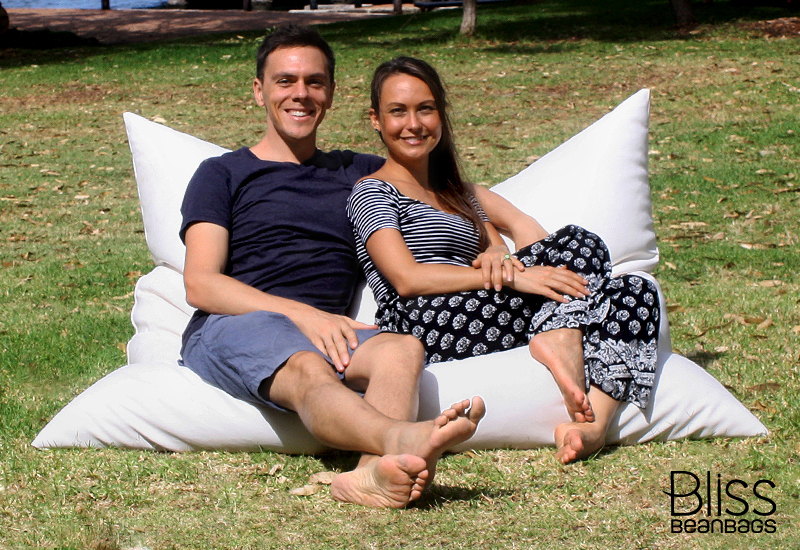 After a great deal of time spent on the tactile process of handcrafting bean bags, we only let them go once we're satisfied they're made to our standard. 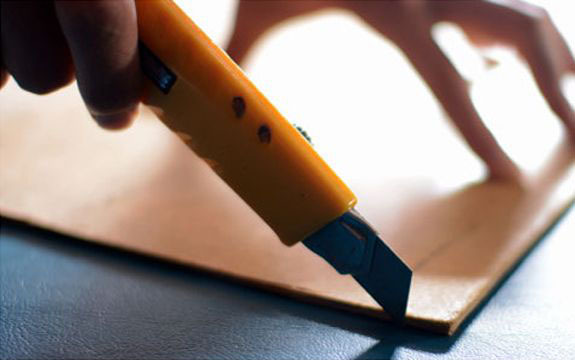 So an important part of our manufacturing procedure is to conduct a thorough inspection of each product at the end. 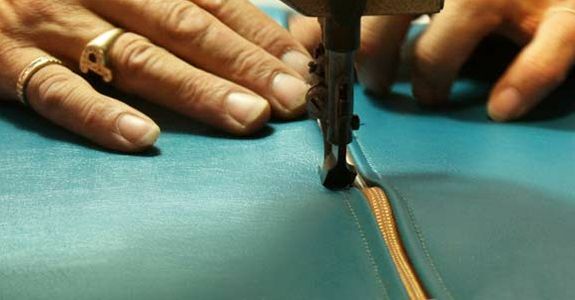 We check the stitching of every thread line, the functionality of every safety zipper and ensure the fabric is free from imperfections. Such details can make a huge difference to the longevity of our bean bags. And yes, it satisfies that obsession in us that likes things the best we possibly can.